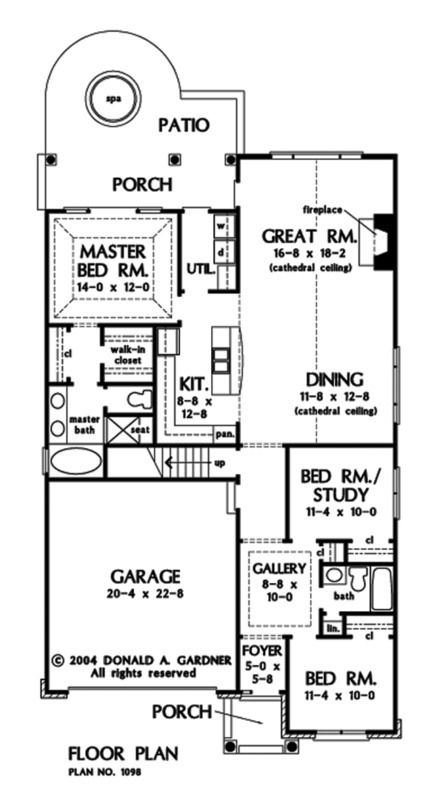 Ideal for narrower lots, this plan's open layout lives larger than its square footage implies. The striking exterior, with dramatic columns and arch-top windows over the front-entry garage, mirrors the alluring interior as well. A vestibule sits just behind the foyer and decoratively separates two bedrooms. Completely open, the large dining and great room seamlessly flow into one another, making retiring after a meal a short step. Cathedral ceilings crown both rooms and the great room walks out onto a rear porch and patio. 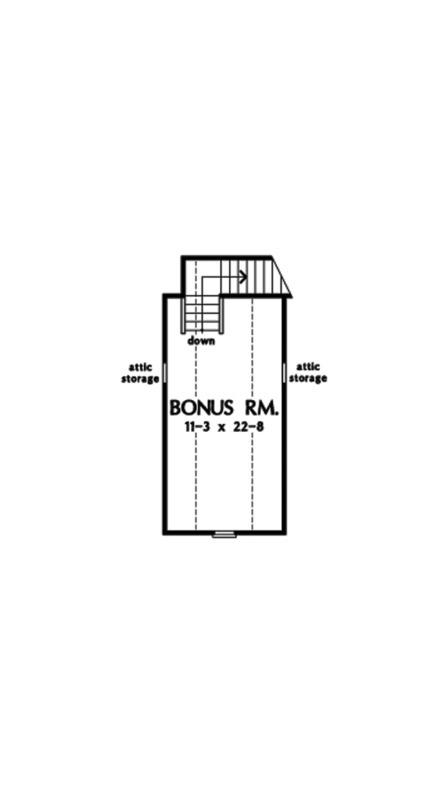 The spacious master bedroom also features rear porch access, inviting cool breezes indoors. A separate shower, with built-in seat, his-and-her sinks and a walk-in closet complete the master suite. House Dimensions: 38' 11" x 64' 8"
Great Room: 16' 8" x 18' 2"
Master Bedroom: 14' 0" x 12' 0"
Foyer : 5' 0" x 5' 8" x 9' 0"
Dining Room (Cathedral): 11' 8" x 12' 8" x 18' 1"
Great Room (Cathedral): 16' 8" x 18' 2" x 18' 1"
Kitchen : 8' 8" x 12' 8" x 9' 0"
Bonus Room : 11' 3" x 22' 8" x 8' 0"
Garage : 20' 4" x 22' 8" x 0' 0"
Master Bedroom (Tray): 14' 0" x 12' 0" x 11' 1"
Bedroom / Study : 11' 4" x 10' 0" x 9' 0"
Porch - Front : 6' 3" x 6' 0" x 9' 0"
Porch - Rear : 20' 8" x 6' 0" x 9' 0"
Deck / Patio : 20' 8" x 6' 0" x 0' 0"
Other (Tray): 8' 8" x 10' 0" x 10' 1"